Photo: Igor Grochev / Shutterstock.com. 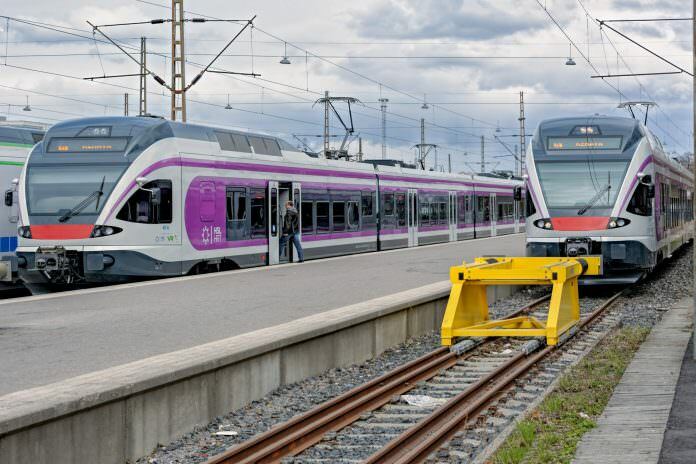 Stadler was won a contract to overhaul 195 bogies of Junakalusto Oy’s FLIRT fleet in Finland. Stadler will recondition 78 powered and 117 trailer bogies for the fleet, which was delivered between 2009 and 2014. The four-car FLIRT trains have completed around one million kilometres of running in the Helsinki metropolitan area and the overhaul is part of the fleet’s routine maintenance schedule. The first bogies will be taken to Stadler’s specialist bogie facility in Szolnok, Hungary, in January 2018. The overhaul programme is expected to be completed by the end 2022. Previous articleCould building above London’s railways solve the capital’s housing crisis?